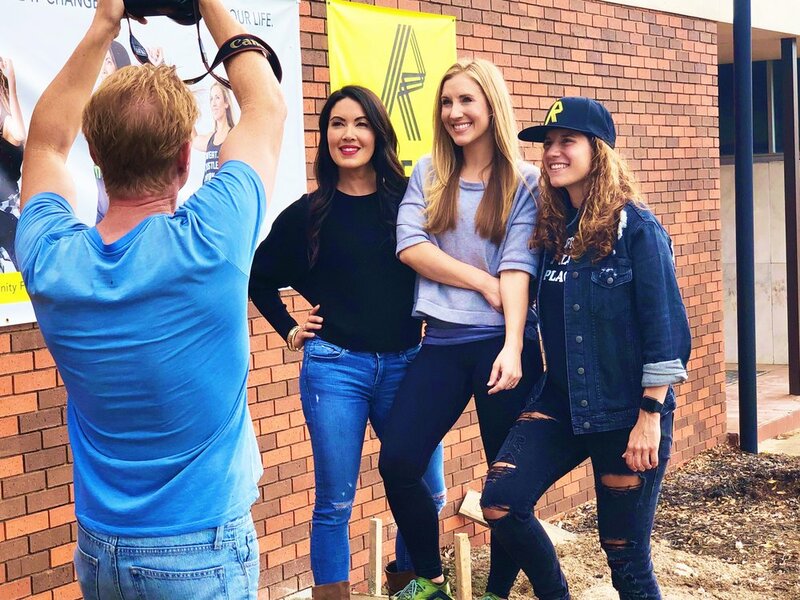 REFIT® Revolution, a Waco-based fitness program that launched with help from online donations and now has 265,000 YouTube followers, will move its corporate headquarters to downtown. It will anchor a development dubbed The Standard on Washington Avenue, that will also be home to six health-focused food, drink and skin-care establishments. Toby Tull, a Baylor University graduate and co-founder of Happy Harvest and Bare Bucha, said he will bring his farm-to-table approach and passion for fitness to The Standard. He will lease space to serve Abundance Bowls, which will offer build-your-own salads heavy on greens and vegetables, as well as veggie burgers. REFIT co-founder Catherine Ballas said her business will occupy 12,000 square feet in the 20,000-square-foot building at 1522 Washington Ave., with 3,500 square feet set aside for workouts and the balance earmarked for REFIT gear sales, corporate offices, a communal area, locker rooms and video production. REFIT, founded in 2012, has outgrown its location on Richland Drive and will more than double its workout capacity, to 150 participants, with the move. “We have hundreds of members cycling through the studio each month, and we have about 3,000 instructors nationwide with their own set of participants,” Beeler said. The company’s broadcasting capabilities have created fans worldwide - the workout sessions are particularly popular in Indonesia, “which is our second largest demographic after the US,” she said. REFIT started modestly by soliciting donations through Indiegogo, a crowdfunding site. It raised $13,000 in 48 hours and spent the seed money to produce a workout DVD, create a website and provide instructor training. Each person who pledged at least $10 received a copy of the DVD, Ballas said. REFIT dotes on internal changes and uses music and positive feedback to inspire women to complete their “fitness journey,” Beeler said. “We believe a change in the heart can produce a change in the body,” she said. Mitchell Construction will serve as general contractor for remodeling of the one-story building, which REFIT acquired with the help of Waco real estate agent Gregg Glime, who also helped recruit tenants. Andrew Steakley, owner of Barnett’s Pub on Franklin Avenue, will lease about 3,300 square feet to open Lighthouse Coffee and Wine. Alex Tolani, who attended Baylor University, said a longstanding dream is coming true as he serves as “head of coffee” at Lighthouse. Suppliers will include Olympia Coffee Roasting Co., based in Olympia, Washington, renowned for its coffee products and shops, and Methodical Coffee Co., “one of the best coffee shops on the East Coast,” Tolani said. “We want the public to be able to spend the entire day on the 1500 block of Washington Avenue,” he said. Yoga Bar, Nourish Skincare and Skin By Brandy will share almost 2,500 square feet and jointly operate under the name Soul-dality, according to information provided by REFIT. As Tull prepares to open this Happy Harvest location with partners David Aycock and Juanita Barrientos at The Standard, he is also poised to open a sit-down restaurant at 112 N. 25th St., Tull said. Tull said Happy Harvest and its sister company, Bare Bucha, serve dishes ranging from sweetened roasted bananas and $60 farm-to-table dinners to hemp protein bars and kombucha, a fizzy fermented tea drink. Its spot at The Standard will represent a “different take” on its approach to nutrition and belief that food should be good for the body, Tull said. Considering the growth of development along Washington Avenue, several of those opening shops in The Standard said they would favor the proposal to convert the avenue into a two-way street downtown.